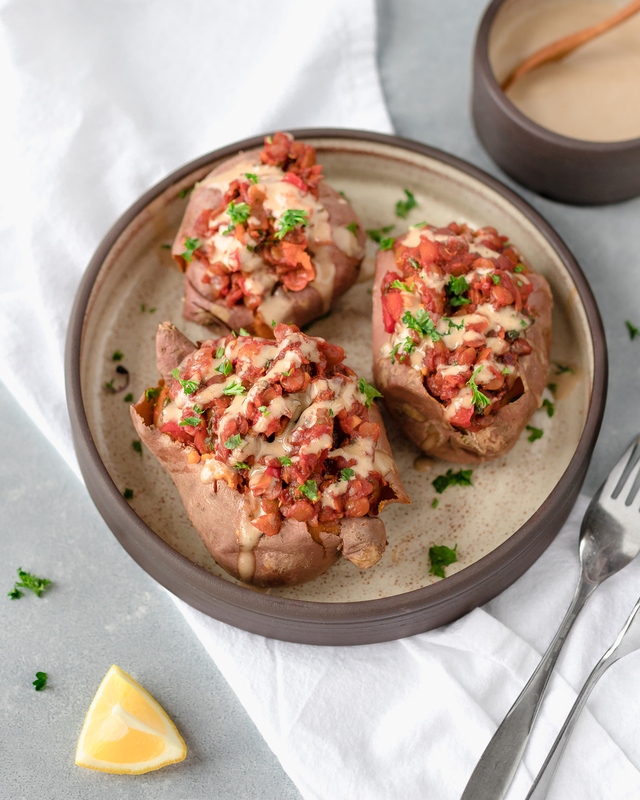 Berbere-Spiced Lentils Stuffed Sweet Potatoes | Eat. Love. Namaste. I have been experimenting with new spice blends and I wanted to share my take on berbere spice. 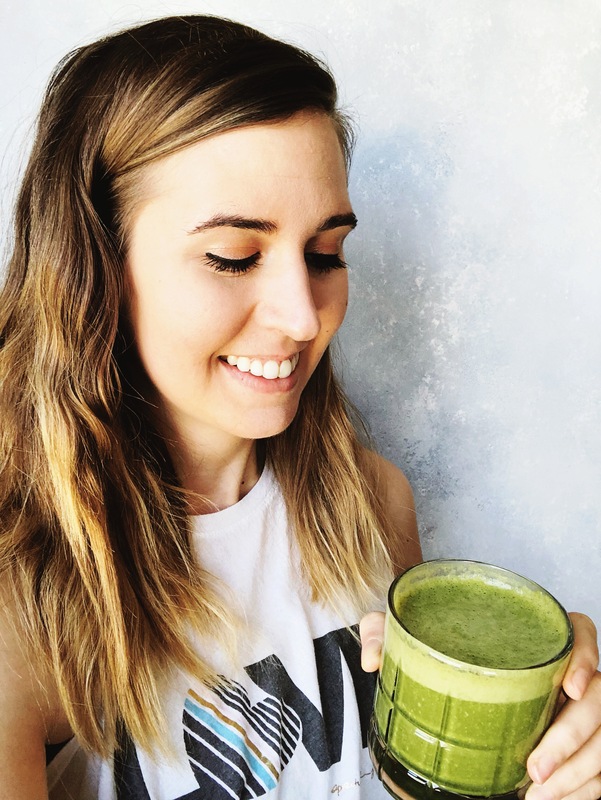 It is an Ethiopian spice blend with a combination of spices: sweet paprika, cayenne powder, fenugreek, coriander, cumin, cardamom, cinnamon, clove, ginger, and turmeric, black pepper, and salt. This seasoning creates a warming and flavorful dish! The lentils cook in the spiced tomato sauce making this an easy 1-pan recipe, plus the clean-up is minimal. 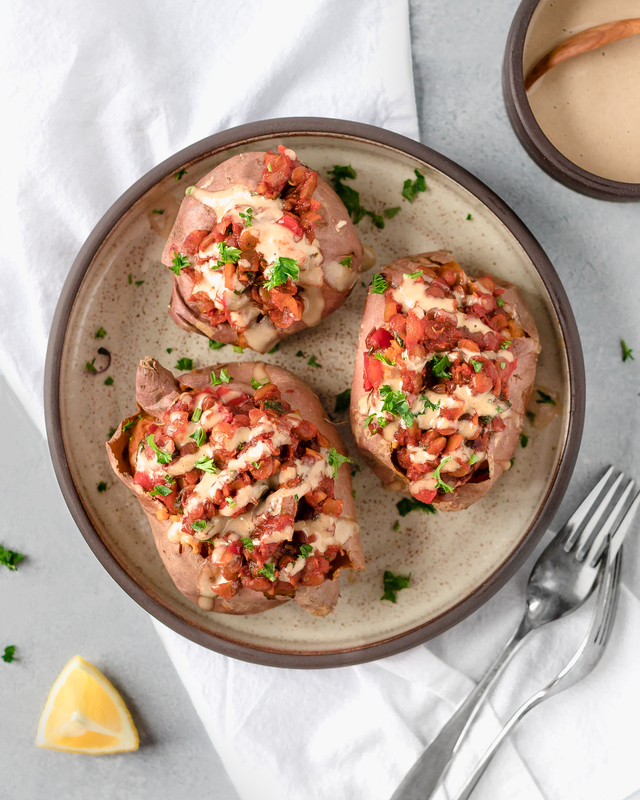 To add some balance and sweetness, stuff the berbere-spiced lentils in a baked sweet potato and top with fresh parsley before serving. I added my homemade tahini dressing for extra flavor, but this is optional. The sweet potatoes can bake in the oven while you cook the sauce, making it a super convenient and healthy entreé for those busy nights! In this recipe, 2 teaspoons of the berbere seasoning leave subtle notes of smokiness and spice; perfect for anyone who is willing to try something new. If you want a spicier dish, I recommend adding a teaspoon at a time. I hope you all love this dish; it’s super flavorful and quick to make. Easy 1-pan Berbere-Spiced Lentils Stuffed Sweet Potatoes are a hearty, warming, and flavorful plant-based meal! Preheat oven to 425 degrees Fahrenheit and poke a few holes in the sweet potatoes with a sharp knife to allow steam to escape. Place the sweet potatoes directly on oven rack for 45 minutes, or until fork tender. (Time will vary depending on the size of the potato). In the meantime, add the olive oil to a sauté pan over medium-high heat. Once hot, add the diced onions and red bell peppers and cook for 5 minutes until fragrant. Add in the minced garlic and season with the berbere spice blend and a pinch of salt. Stir and cook for an additional 5 minutes. Add the tomato sauce, water, and rinsed lentils. Sir and bring to a simmer, then reduce heat to low and cover. Cook for 15-20 minutes, or until all liquid is absorbed. Prepare toppings: chopped parsley and tahini dressing. To serve, split open baked potatoes and gently press inwards on both ends to allow room for toppings. 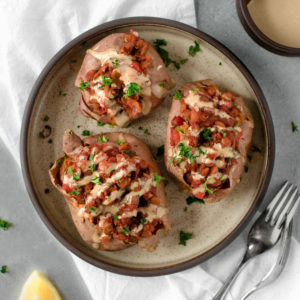 Fill each potato with the berbere-spiced lentils mixture, and top with parsley and tahini dressing. Best when fresh; leftovers stored separately in the refrigerator up to 2 days.